Nothing says 2018 like Russians meddling with the US government! 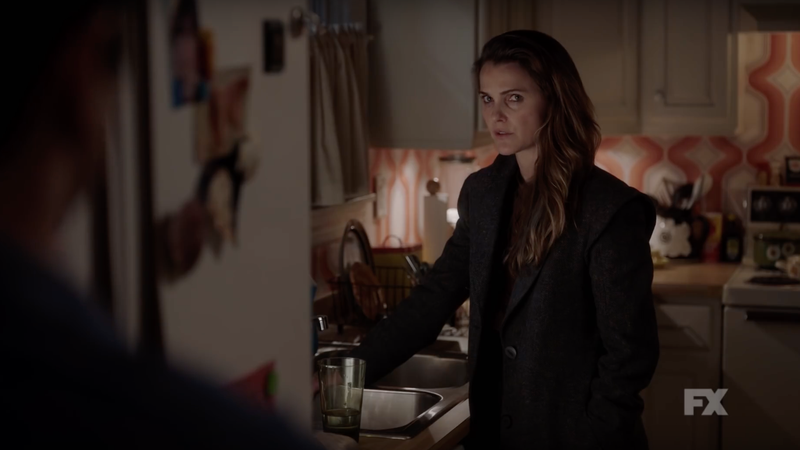 The trailer is here for The Americans’ final season, premiering March 28. And it has everything: Elizabeth looking emotionally tortured in the rain, baby-faced Paige doing some spying, Stan talking in his annoying narc-y FBI voice about how good America is or whatever around the dinner table. You know, all the good stuff. Although I would have liked to have seen more wigs. Far, far more wigs. Maybe some big curly perms or a few mullets, for either Elizabeth or Phillip Jennings. A ‘stache here or there wouldn’t have hurt! The sixth season takes place in 1987, which is a three year time jump from season five. According to Entertainment Weekly, Phillip has retired from espionage and so the focus will all be on Paige, who’s all grown up and spending her days stealing highly classified documents rather than praying to Jesus, we can assume. The last season admittedly left a lot to be desired, as the main storyline basically focused on crimes against wheat. So hopefully The Americans can take it up a notch and give me some higher stakes sleuthing. Preferably, sleuthing done while wearing some absolutely disgusting, fried ’80s hair.